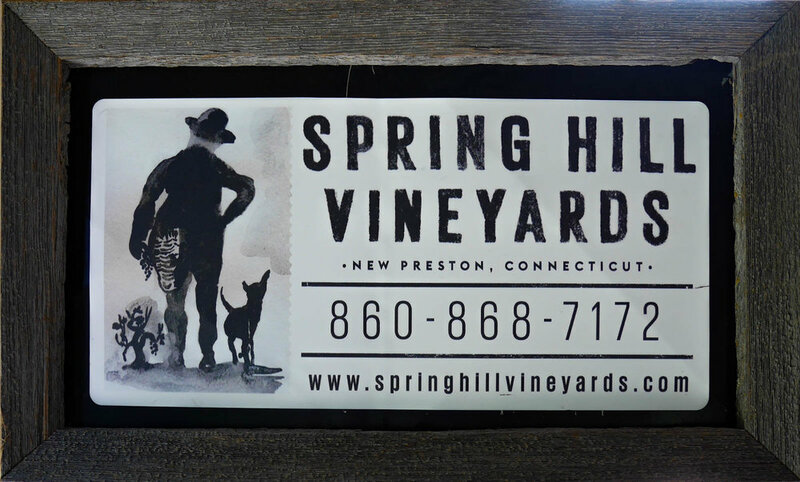 SPRING HILL VINEYARDS grow on a historic farm dating to the 18th century located along the banks of the Shepaug River in New Preston, Connecticut. Nestled among rolling hills and hay fields, our hidden valley offers a unique micro-climate, featuring southwestern facing slopes with rocky, well-drained soils and moderated weather influenced by the river itself. These characteristics provide a distinctive terroir for our vines, which we began planting in 2006. For more information about events and tastings, please click here.